Andres Carvallo is the founder and CEO of CMG, a strategy consulting and advisory company focus on enabling Smart Cities, Smart Utilities, and Smart Buildings. Outside of CMG, Mr. Carvallo is a Board Director at IMS, Board Director at Gridmates, Board Advisor at Smart Electric Power Association, Board Advisor at Texas State University Ingram School of Engineering, and Board Advisor at The University of Kansas Energy Council. 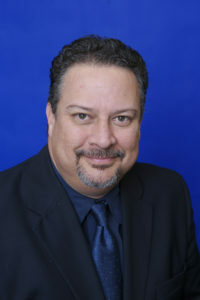 Mr. Carvallo is an award winning engineer, speaker, author, and executive with 30 years of experience in the Energy, Telecommunications, Computers and Software industries. Mr. Carvallo is globally recognized by the IEEE as one of the early developers of the smart grid concept and technology. Mr. Carvallo defined the term Smart Grid on March 5, 2004. Mr. Carvallo co-authored the best selling book “The Advanced Smart Grid”, he has received 35 industry awards since 2005, and he is a popular speaker and guest lecturer. As chief technologist reporting to the CEO and a member of the Austin Energy Innovation & Opportunity Development Executive Board from 2003 – 2010, Mr. Carvallo championed Austin Energy’s industry leading smart grid program design and implementation as their CIO. While at Austin Energy, Mr. Carvallo also co-led over $ 4 billion in investments into two wind farms, a solar farm, a biomass power plant, a natural gas power plant, two cogeneration power plants, two district cooling microgrids, roof top solar, over 100,000 thermostats for load control, a fiber communications network reaching every substation, 100% smart meter coverage, a smart grid architecture, and all the smart grid infrastructure. Mr. Carvallo also architected the Pecan Street Project as its CTO from 2008 to 2010 and led Austin Energy’s complete technology transformation. 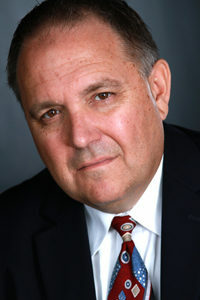 Since 1992, Mr. Carvallo has held P&L responsibilities and senior executive titles while being responsible for the strategy, development, and commercialization of over 40 products as EVP and Chief Strategy Officer at Proximetry, EVP and Chief Strategy Officer at Grid Net, CEO at HillCast Technologies (acquired by Charles Schwab), CEO at agentGo.com (acquired by Avalon Marketing Systems), EVP and COO at iMark.com (acquired by FreeMarkets), VP at Tycho Networks (acquired by DSL.net), President & General Manager at Philips Consumer Communications, General Manager at Digital Equipment Corporation (now HP Enterprise), General Manager at Borland, Regional Manager at SCO, Product Manager at SCO, and Windows and MS-DOS Product Manager at Microsoft in Redmond, WA. Mr. Carvallo has led many amazing teams and grown its P&Ls from zero to over US$2 billion several times. Mr. Carvallo received a B.S. in Mechanical Engineering degree from The University of Kansas with a concentration in Robotics and Control Systems. And Mr. Carvallo has also post-graduate certificates in Business Management from Stanford University, in Quality Management from The Wharton School of The University of Pennsylvania, and in Power Utility Management from The University of Idaho. John Cooper is currently the Director of Business Transformation at Siemens. John has 25 years experience in entrepreneurial, consulting, business development, sales, marketing, and research roles. Key consulting clients have included Austin Energy, Tropos Networks, Cellnet, the City of San Marcos, Xtreme Power, the Pecan Street Project, Sharp Labs of North America, and Grid Net. In 2010 and 2011, John worked with Grid Net, a pioneer Smart Grid software company, and with Sharp Labs to develop business models for virtual power plants. In 2009, John worked with Xtreme Power, an advanced lead acid energy storage company, to secure a multimillion dollar federal loan guarantee to implement energy storage for renewable energy integration on a wind farm in Maui. In 2009, John was also a leader in the Pecan Street Project, directing the Smart Grid committee and writing the final technical report for Phase One of the project. Earlier at Austin Energy, John ran the GENie Project in 2004 and 2005, leading utility management to explore broadband options for utility operations and launching the groundbreaking Smart Grid program. From 2003-2008, John was a Smart City consultant, focused on developing and implementing Smart City applications leveraging new wireless technologies. John’s early career in electricity (1996-2000) featured work on pioneer wireless AMR and energy data software at CSW Communications. John helped launch the Texas Senate Research Center in 1986. John is co-author of the 2011 industry best-seller The Advanced Smart Grid: Edge Power Driving Sustainability, which documents his work at Austin Energy building a pioneer smart grid and in the Pecan Street Project designing an energy internet. 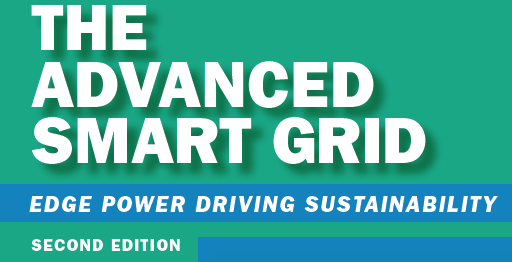 Smart Grid News called The Advanced Smart Grid “…far and away the best book yet about the smart grid.” John’s 2008 book The ABCs of Community Broadband: How Digital Transitions Will Transform America’s Communities, One at a Time is a guidebook on smart cities for community leaders. John is an accomplished public speaker and has published numerous articles on electricity and broadband innovation in traditional and new media. John has an MBA with honors from the McCombs Graduate School of Business and a BA in Government from The University of Texas at Austin.